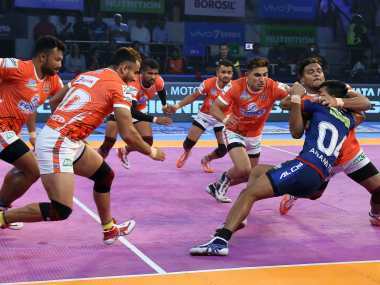 Pune: Puneri Paltan produced a superb comeback to beat Haryana Steelers 35-33 in a thrilling Pro Kabaddi Season 6 match in Pune on Wednesday. 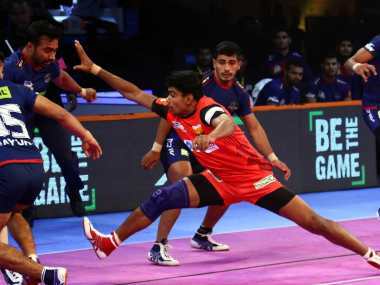 Sandeep Narwal scored seven points for Pune while GB More chipped in with six points. Monu Goyat got 11 points for Haryana but their second half performance let them down. A super tackle was forced by Puneri Paltan in the 25th minute as they attempted to reduce the point gap. 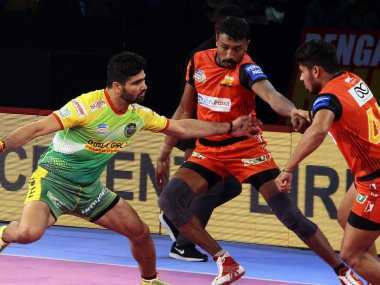 Bengaluru Bulls produced an accomplished performance to beat Telugu Titans 34-26 in the southern derby. Rohit Kumar scored eight points while Amit Sheoran scored five points. Rahul Chaudhari scored 6 points for Titans but it wasn’t enough. Rohit got two points with his first raid to give Bengaluru 2-0 lead. Telugu titans had a strong first half as they inflicted an all out to lead 15-10 at the end of the first half. Rahul Chaudhari did the bulk of scoring for Titans in the first half. The second half saw Bengaluru Bulls produce a strong comeback. In the 15th minute Bengaluru Bulls leveled at 17-17. Rohit and Amit combined strongly to score raid and tackle points for Bengaluru Bulls. An all out in the 38th minute tilted the balance in favour of Bulls as they led 31-25. The all out extinguished all hopes of Titans’ comeback as they crashed to a defeat.